Your skin, as you probably know, can be your best friend or your worst enemy. But your relationship with your complexion should be kept simple. Skin care doesn’t have to be complicated! Here are some skin-care basics that will help you make peace with your skin. One of the big challenges we all face is washing our face at night. I know, I know, You're tired and barely have enough energy to brush your teeth, and now I want your to actually wash your face at night too? Yes...yes I do. 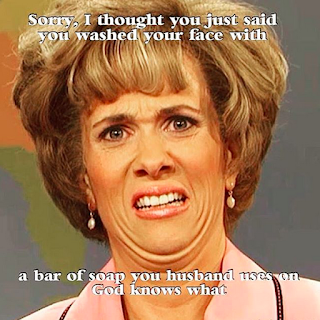 No matter how exhausted you are, you really do need to remove makeup, dirt, and pollution from the day to wash away all the debris that can lead to clogged pores and dead-skin buildup...and you don't want to use the bar of soap found in your shower! When it comes to choosing the proper cleanser, you really need to know what your skin needs. If you suffer from red irritated skin your don't want to use a cleanser that has a harsher exfoliant. To determine the best type of cleanser for your skin type try my skincare assessment tool...it only takes about 30 seconds to complete. It’s a no-brainer: You can maximize the time you spend sleeping to deliver moisture, correct existing problems, and help prevent future damage to your skin. To prevent and treat fine lines and wrinkles, use products that have tried-and-true antioxidants such as retinol, which helps promote collagen. My favourite night time regimen includes Rodan + Fields REDEFINE Night Renewing Serum capsules. They contain a magical blend of peptides and retinol to visibly improve skin texture and firmness and reduce the appearance of wrinkles. It's like silk on your skin and it was recognized by Harper’s Bazaar Magazine as an Editors' Choice...so you know it;s a quality product. Combine REDEFINE Night Renewing Serum capsules with the AMP MD Micro-Exfoliating Roller for visibly advanced skin-firming benefits. Based on Rodan + Fields clinical studies these products when combined provides smoother, softer skin after just one use. With continued use it's been clinically proven to help skin appear firmer and make lines and wrinkles less noticeable for a more luminous and refined appearance. For blemishes, don't "spot" treat. You need to address the entire acne cycle! Take control with the UNBLEMISH Regimen. It's clinically proven to combat the entire acne cycle. It helps unclog pores, clears breakouts and calms your complexion to keep pimples, blackheads and post-acne marks from making an unwelcome appearance. Super sensitive skin? 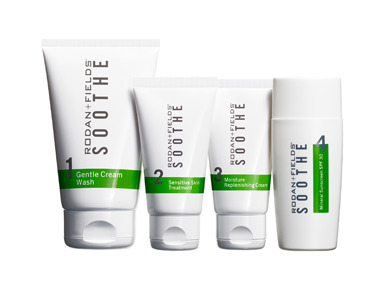 Don't worry we I have SOOTHE Regimen. It shields against the biological and environmental aggressors and helps fortify your skin’s natural moisture barrier so that you can take comfort in having a healthy-looking complexion every day. Thank you for your informative post. Now a days there are many products in the local market. Which are showing the result in short time I used it. But after using anti-aging serum from Annimateo. Which is really more effective for me? I hope it will help you.